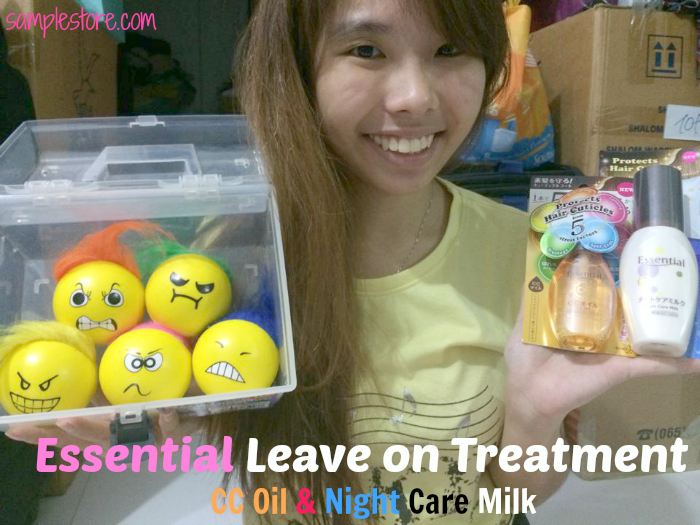 Today I will be sharing with you the Essential Leave on Treatment CC Oil & Night Care Milk. 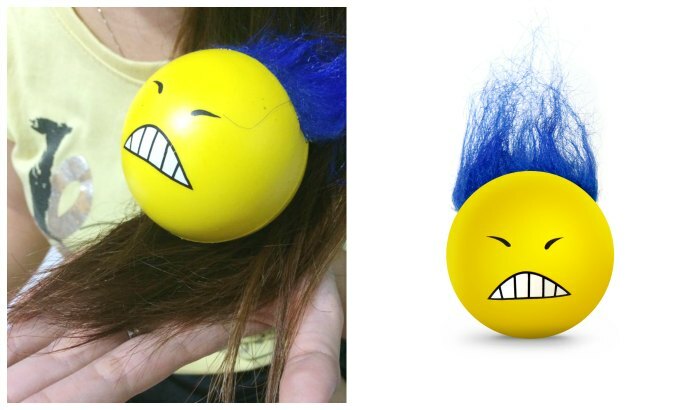 So what are these stress balls about? 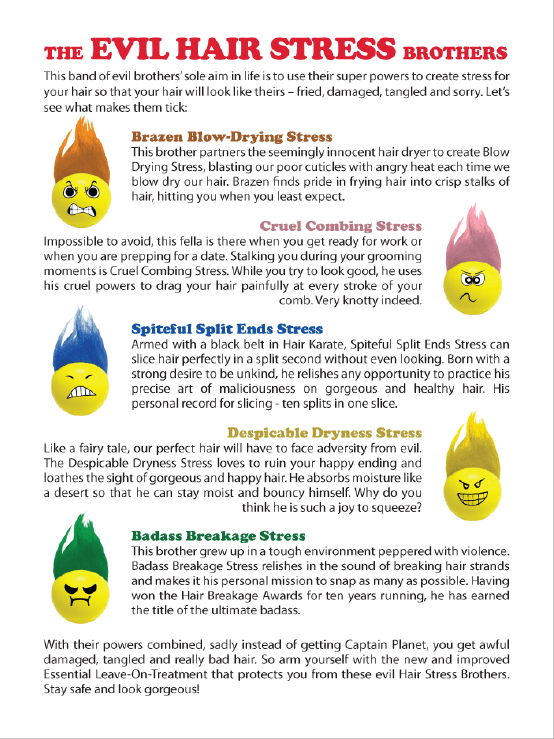 Exposure to the sun, wind or even air-conditioning can result in hair dryness. The ends of your hair are the oldest and driest parts. 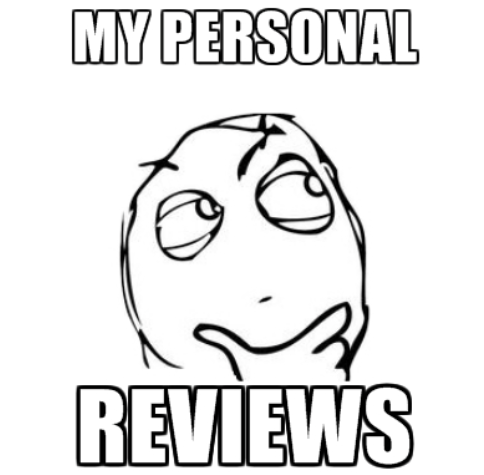 When the protective hair cuticle is destroyed at the end of the hair, the hair splits into two or more parts. CC Oil forms a protective coat around each hair strand and protects your hair from the 5 hair stresses, leaving you with more beautiful, less tangles and manageable hair. – To be applied in the morning and can be reapplied any time of the day. And it has this UNIQUE Cuticle Coat Protection leaves hair smooth & tangle free all day. 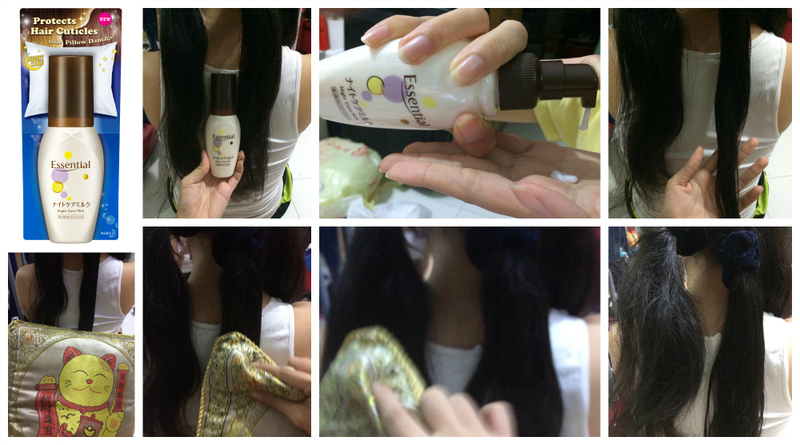 It also contains Hair Supplement Oil, which is similar to hair’s natural oil. 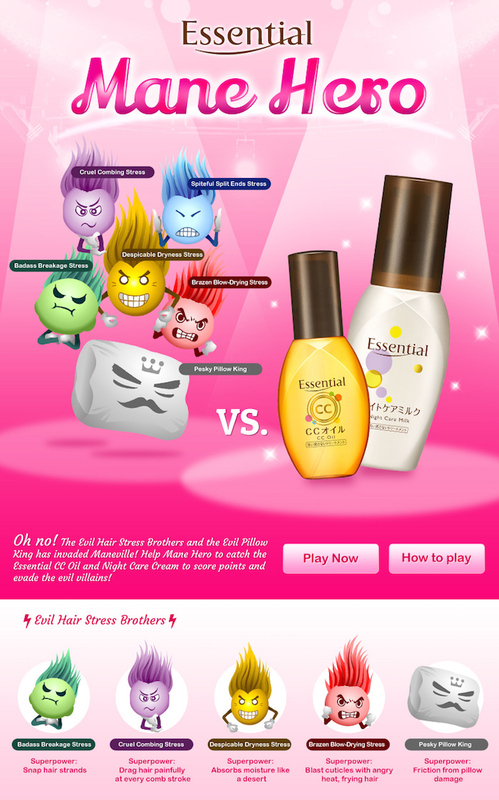 And the next product to let you enjoy combless hair in the morning is the Essential Night Care Milk! It protects your hair from pillow friction by leaving a protective coat around each hair strand and prevent misaligned cuticles when hair rubs against the pillowcase, leaving hair more manageable the next morning. 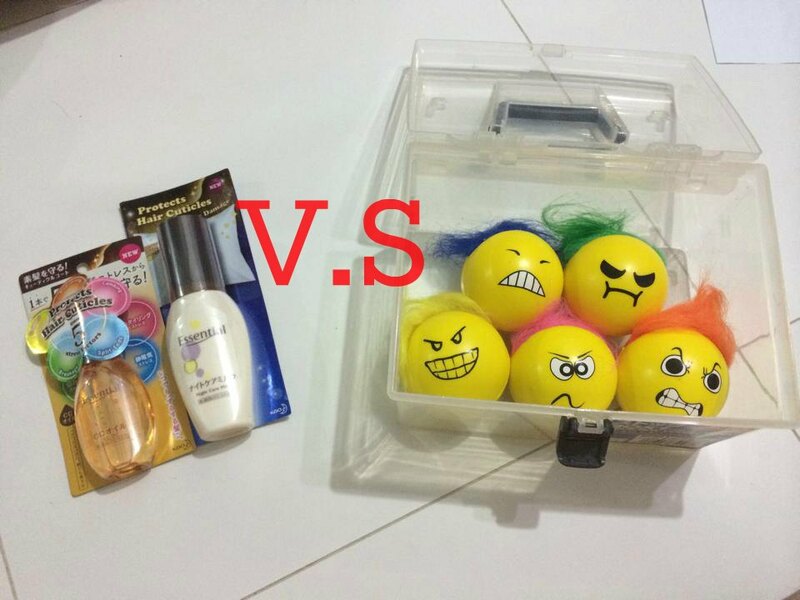 To be applied on damp or dry hair before going to bed. 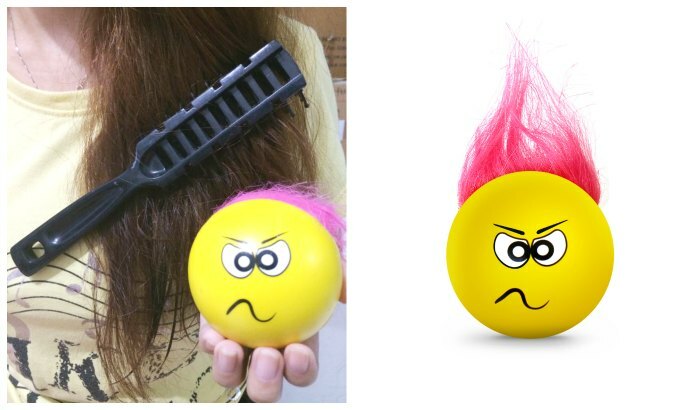 But not all of us have the habit of bathing in the morning and is only doing so just so to fix the hair! 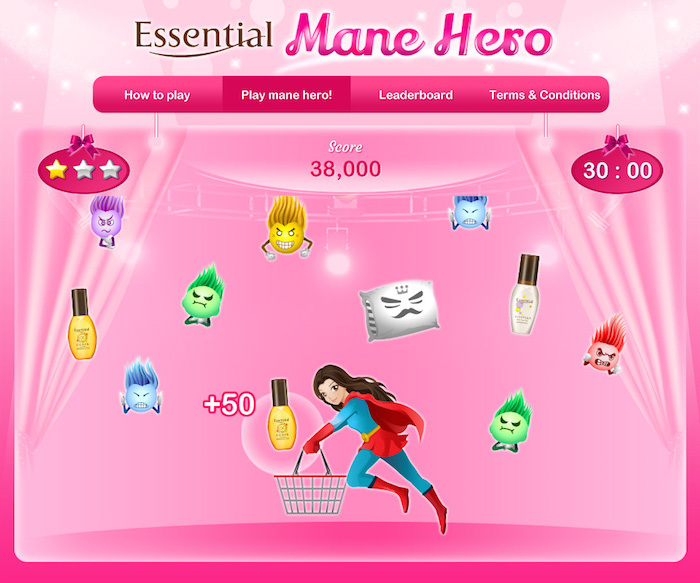 And so mafan still need blow dry..
You can win attractive weekly prizes by playing the Essential’s Mane Hero Facebook game and combat the 5 evil Hair Stress Brothers and Pesky Pillow King! 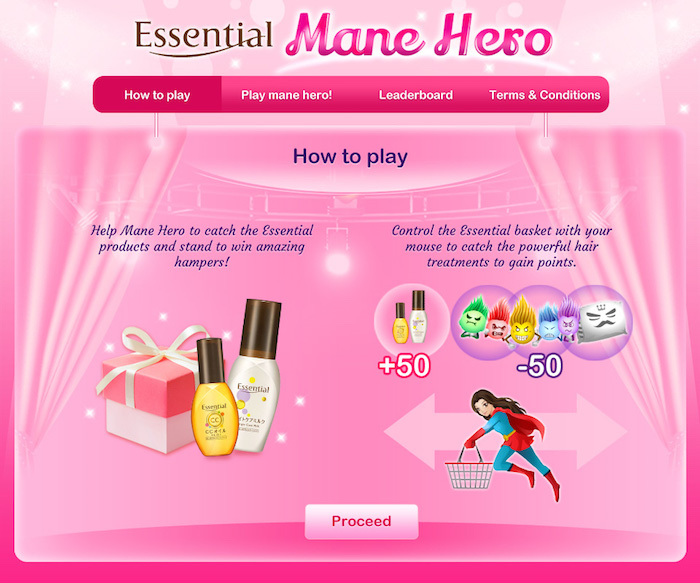 Go to https://apps.facebook.com/essentialmanehero/ to play now! Non-greasy and invisibly light, the Essential CC Oil coats each strand of hair with a cuticle coat protection to fight the 5 most common forms of hair stresses. The cuticle coat protection leaves hair smooth and tangle-free all day! The Essential Night Care Milk protects the hair from “Pillow Friction”, intensively repairs and moisturises the hair in the wee hours of the night. Coupled with cuticle coat protection ingredients, its rich yet non- greasy milk formula weightlessly leaves hair smooth and manageable the next morning! I think this product is quite good especially the Milk because I really finger comb my hair and i can walk out of house every morning. The CC oil is abit oily in my opinion but it’s a good heat protector to use when styling, curling, blowing or even straightening.